With several employees, we are the industry's only full team looking exclusively at penny stocks. Anyone can set up a blog and start their own newsletter, but that doesn't mean that they are qualified to give you financial guidance. The amount of hours and work required to uncover and analyze the best investments takes a full team of people. Under the guidance of Peter Leeds, our team discovers those penny stocks that we believe are about to explode in price. This puts us in the best position to bring you top quality picks and penny stock information. We then release those buying opportunities to subscribers of Peter Leeds Penny Stocks. We do not accept bribes or compensation from the companies that we profile. We also do not trade shares in any of the penny stocks we talk about. In other words, we have no hidden motivations. We are 100% Unbiased. We want you to make money from penny stocks. Period. Read about the Peter Leeds 100% Unbiased Guarantee. What else sets us apart from other newsletters? Peter has received media coverage from Forbes, CNNfn, Wall Street Journal, USA Today, and more than 100 other major media outlets. Penny stocks can be risky, which is what makes it so important to get the guidance of the Peter Leeds team. Penny stocks are exciting because you can make bigger gains in a shorter time than with conventional investments. Modern investors know that penny stocks add speed, excitement, and upside potential to any portfolio. Don't be fooled by all those "one man shows" in penny stocks! Remember that anyone can set up a web page about penny stocks, and they will say just about anything to snag you as their latest victim! Why don't they have a phone number? In penny stocks, protect yourself, first and foremost. Never pay for any of these let-down penny stock services! We have a full penny stocks team working for you. From analysis to editorial, customer service to publication, it's time you discovered the advantage that the Peter Leeds team provides. Given the amount of research and analysis we undertake, the volume of information we produce, and the excellent customer service we provide, it really does take a full team to do it right. Our company makes all the difference when we make our penny stock picks. As a Peter Leeds subscriber, you benefit from our culture of hard work, perfectionism, and ethics. We are working overtime to earn your respect and trust, and everything we do is with you, our subscriber, in mind. Keep in mind that our penny stock company was not built over night, but rather through the last 20 years of analyzing penny stocks, and getting our subscribers what they wanted. In that time, we've earned the trust and respect of top media and our subscribers alike. 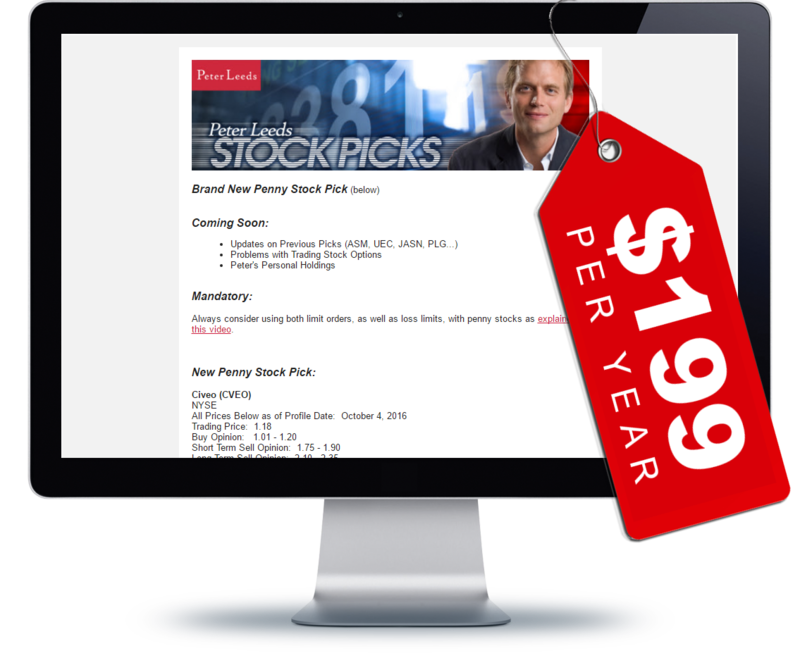 When it comes to penny stocks, it is Peter Leeds and his team who have your results as a top priority.